There are certain animals that really lend themselves to picture book stories. Have you noticed? Ducks, mice, and sheep seem to appear an awful lot. Cats, too. Camels? Not so much. Mouse storytime started with Herbert, my dapperly dressed puppet. He explains that he always dresses his best when he’s going to meet new people. We also talk about the shape of his button (cheese/triangle), and what he’s got in his pocket (a clock). Then, as Herbert checks his watch and says it’s time for stories, we get started! 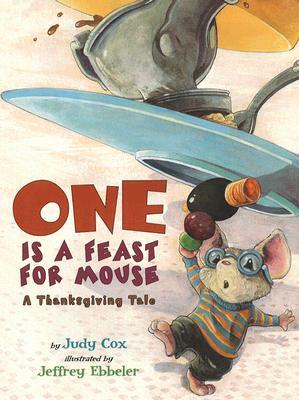 One is a Feast for a Mouse by Judy Cox. A Thanksgiving story – Mouse creeps out of his hidey spot after dinner is done and finds one pea, small and toothsome. One is a feast for a mouse, but when he sees the rest of the leftovers, he gets a little greedy. Hide and Squeak by Heather Vogel Frederick. 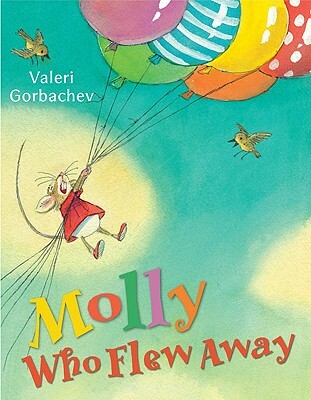 A newer book, in which little mouse hides from his dad at bedtime. Nice repeated phrases and big illustrations! Flannelboard: Little Mouse, Little Mouse. We hide a little mouse behind a house and try to guess which colored house he’s behind: “Little mouse, little mouse, are you in the red house?” If there are lots of kids in the group, and we don’t have time to let everyone guess, we use my color spinner to choose the colors. Everyone LOVES this one and there are repeated requests to “do it again!” If we find the mouse too quickly, we always DO. Flannelboard: Mouse Count. So yeah, makes more sense if we read the book first. Miss You Mouse by Greg Foley. Mouse finds a note from his friend bear, saying “I miss you, Mouse.” Mouse then sets off to find Bear, with something very important to tell him. We lift flaps to find other animals, but bear is a little elusive. Little Bitty Mousie by Jim Aylesworth. An alphabet book, with absolutely lovely illustrations of little bitty, in her pretty blue dress. The Little Mouse, the Red Ripe Strawberry, and the Big Hungry Bear by Audrey Wood. A classic! The kids love it, and so do I. Mouse Was Mad by Jackie Urban. Mouse is hopping mad, but Rabbit criticizes the way he hops, which makes Mouse stomping mad. But Bear is better at stomping, and so on… until Mouse finds something he can do best of all. This little mouse not a sound did make. This little mouse heard the kitten sneeze. And they found a hole and ran inside.